When someone is shot on the set of the play that Lila is consulting for, she finds herself drawn into an investigation. The theater has some troubled history and Lila has to look to the past as well as the present to find a killer. This was a fun cozy with a little something for everyone. A bit of mystery, a bit of the paranormal, a little humor, and even some romance thrown in for good measure. The characters were people you’d like to spend time with in real life and I thoroughly enjoyed the story. The Spirit in Question is book # 3 in the Academic Mystery series. 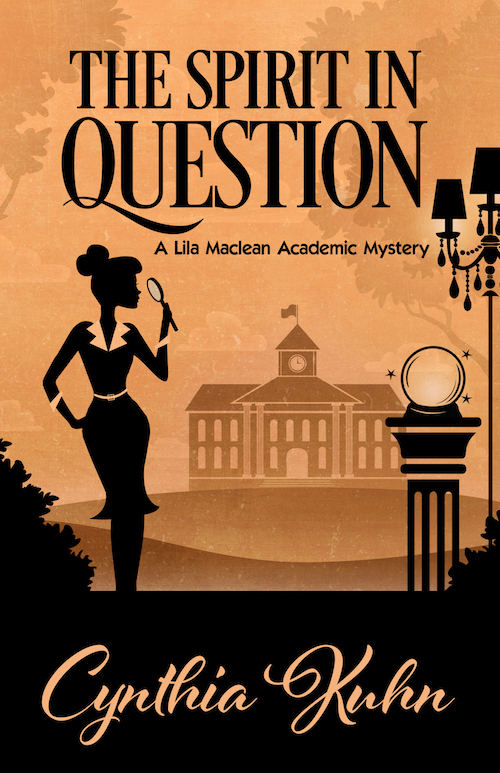 Enter the Rafflecopter giveaway for your chance to win your choice of Lila Maclean Academic mysteries (eBook) and a $25 Amazon gift card. < Previous The Ghost and the Bogus Bookseller by Cleo Coyle – Blog Tour and Giveaway! Thanks for your insightful review. I have seen this series around and have thought about reading it, but not sure why I never picked any up. After reading your review Erika, I think I have been missing out. I will have to go back and see if I can get my hands on the previous stories. Thanks for sharing this one. I hope I get the time and can find them. Hi Cynthia – I did enjoy it! Thanks so much for coming by today. 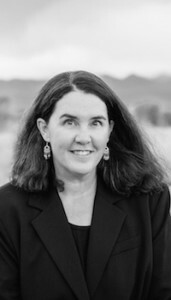 Thank you for your review on “The Spirit in Question” by Cynthia Kuhn and for being part of the book tour. I’d very much love the opportunity to read this book which is on my TBR list. Love the cover with the use of shadows to show so much detail. Hi Kay – thank you for coming by. I hope you enjoy the book as much as I did! HI Kay–thank you for the kind words.